Luton/Monte Carlo. 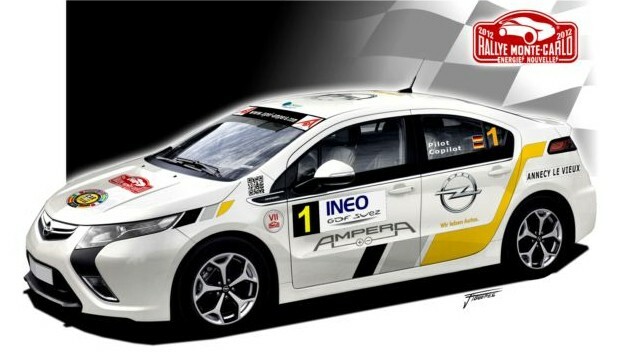 After winning the “Car of the Year 2012” award, the Vauxhall/Opel Ampera has now also won the 13th International Monte Carlo Rally for electric and alternative propulsion cars. The Vauxhall Ampera is the first electric vehicle that can go anywhere anytime. A 16 kWh lithium ion battery powers the 111kW/150 hp electric motor. Depending on the style of driving and road conditions, distance of between 25 and 50 miles can be covered in the battery-operated mode, completely free of tailpipe emissions. The electric propulsion system delivers instant torque of 370Nm enables zero to 60mph acceleration in 8.7 seconds and a top speed limited to 100mph. Cheap Nitro Rc Cars For Sale | Electric Cars For Sale | Are YOU Looking for ELECTRIC CARS FOR SALE? Here's MOTOR SCOOTERS FOR SALE information for you! Future Electric Cars | Electric Cars For Sale | Are YOU Looking for ELECTRIC CARS FOR SALE? Here's MOTOR SCOOTERS FOR SALE information for you!